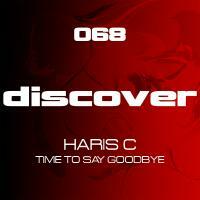 Haris C is being said that he is one of the pioneers of trance music introduction to Cyprus Community, so in 2004 a competition was made by Cluboholic.com made who is the NO 1 DJ of Cyprus! Haris C has been Rocking Dancefloors from Nicosia to London, Ibiza & at Paris â€˜Techno Paradeâ€™ together with Antoine Clamaran & David Quetta in front of more than 500,000 clubbers in summer 2008 and throughout the world with his unique style of music and no wonder why he is one of the fastest rising talents throughout the world. He has been playing along side the biggest names in the dance industry such as: Paul Van Dyk, Tiesto, Ferry Corsten, Paul Oakenfold, Judge Jules,Rank 1, Solarstone to name a few. His unique style of productions have been hammered by everyone throughout the world and has made Haris C one of the most wanted Remix Artists in the biz for the past 2 years with countless remixes & Original Productions which were picked up by all Top djs.